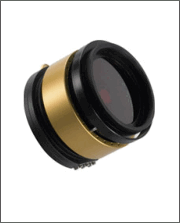 Many Amateur Astronomers consider Lumicon filters to be amongst the finest and most comprehensive range of astronomical filters to be found anywhere. There are Astronomy Filters for almost every imagined visual and astrophotographic application, and they are available in numerous configurations and sizes. Telescope Filters for light polluted skies, planets, deep sky objects, galaxies, nebulae, planetary nebulae, comets, and solar prominences. All Nebula and light Pollution filter are individually tested and inscribed with the percentage of light transmittance of their primary emission lines. Lumicon also provides an extensive line of exceptional optical add-ons, such as the World Famous Easy Series, Sky Vector Systems, Diagonals, Finderscopes, and Binocular Viewers. Each of their filters have their own unique benefits for viewing specific subjects. Deep Sky Filters for example are intended for viewing nebulae from light-polluted skies. They block all mercury vapor and high and low pressure sodium vapor lamp light, neon lights and airglow, while transmitting the rest of the visible spectrum. Additionally it is the best all-around visual light pollution filter for use in urban skies. The Deep Sky, Hydrogen-Beta, Oxygen III, and Ultra High Contrast Filters are the result of 20 years of steady design improvements, and continue to deliver the highest performance of all anti-light pollution filters obtainable today. 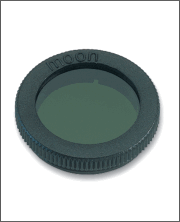 The Lumicon Color and Neutral Density Filters are made from renowned Schott and Hoya optical glass and allow for maximum contrast on viewing planetary and lunar detail. Individually precision ground, highly polished with maximum light transmission coatings on both sides, these filters are 100% guaranteed for life. Lumicon Night Sky Hydrogen-Alpha Filters are long-pass filters with a 50% transition from blocking to passing at about 640nm. At wavelengths longer than 600nm, transmittance is 90% or above. The filter is used as an extreme anti light-pollution filter, and for contrast-enhancement of emission nebulae and other astronomical objects bright in the infrared. Lumicon also have a multiple filter selector, an extremely handy accessory that allows you to switch back and forth between filters, without having to thread and unthread them from your eyepieces or diagonal.